Photo by Chance Agrella courtesy of and copyright Free Range Stock, http://www.freerangestock.com. Another one of the great things about reading through the Bible in chronological order is that the book of Psalms is sprinkled throughout the readings; written in response to what was happening at the time. Most people think that David wrote all of the Psalms, and he did write a majority of them, but there are Psalms attributed to Moses (Psalm 90, 91), Solomon (Psalm 72, 127) and others as well. Throughout the millennia to this very day, the poetry of the Psalms resonate in the human heart; songs of joy, praise, despair, loneliness, depression, redemption and victory. If you have grown up in church and listen to contemporary Christian music, you will not be able to read very many Psalms before you recognize familiar lyrics from hymns of old to the newest song by Chris Tomlin. 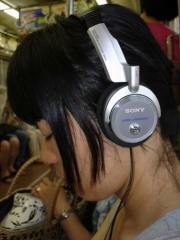 Whatever the song, it rings in my heart and stays in my mind, whether I like it or not, for the rest of the day. Music was created by God as a beautiful conduit to the soul and to offer another dimension of praise to Him. 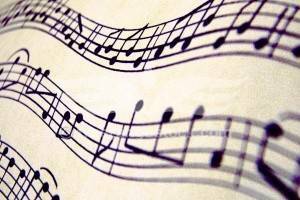 Music with lyrics derived from the Psalms or other passages in the Bible can bring us closer to God through the positive words and by helping us to remember verses from the scriptures. If you don’t currently listen to Christian music during the course of your days, I would like to challenge you to tune into a Christian radio station, many of which are now online, exclusively for the next 30 days. See if listening to music intended to bring praise to our Creator God doesn’t make a difference in your days and bring you closer to Him. If you are reading through the Bible, you will probably hear some familiar lyrics from the Word as well! What do kites, smart phones and M & M’s have in common? The writer of this book finds hope and encouragement in God’s care in these and many other run-of-the-mill objects that we might normally pass right over as we travel through life. 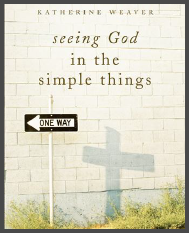 Seeing God in the simple things is a collection of essays written during some difficult years in the author’s life. Unlike the standard fluffy devotional one might find in an inspirational aisle at the book store, this is more along the lines of “comfort food for the wounded soul.” Incorporating a sense of faith and peace, Katherine speaks to some of the most painful and common situations that so many people face these days. Her insightful observations gently teach us that especially during dark times in life, we can find peace and comfort if we slow down enough to appreciate the simple things in life. I would definitely recommend this book for anybody who may need a tender boost of spirit. For those whose lives seem to be just fine, I would also recommend seeing God in the simple things because even when life seems to be great, we can all stand to become more sensitive to the things of God. This book will help us draw closer to God as we learn to consider His signature on so many of the objects and situations we experience throughout the day. I had the opportunity to meet Katherine Weaver a couple of months ago and will share her thoughts on her book in my next post. Stay tuned!